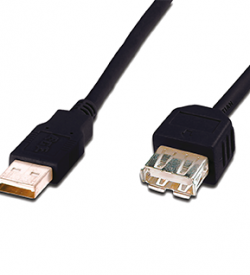 USB extension cables | View our catalogue products | SiliconBlue Corporation Ltd.
USB extension cable passive. For the extension of a USB Type A cable. 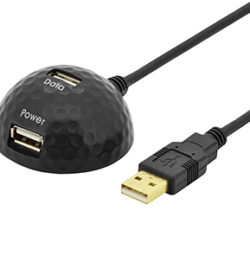 USB Plug A to USB socket A.
USB 2.0 extension cable, Type A, M/F, 3.0m, USB 2.0 Provides a reliable and quick connection of external USB devices with the PC, also about longer distances. 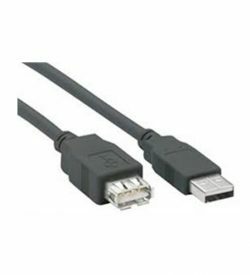 For extension of USB cables or devices (with USB A connector). Transfer rate up to 480 Mbps (High-Speed). The dense screening allows a reliable and fast connection of external USB 3.0 devices with a PC, in longer distances. 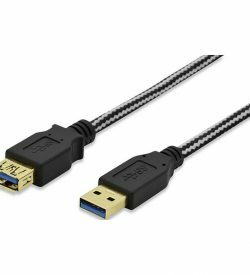 For extension of USB 3.0 cables or devices (with USB A plug). Data transfer rate up to 5 Gbps (Super Speed).